The Centre of Excellence in Animal Welfare Science is a Swedish network for researchers in natural and social sciences aiming to improve animal welfare. 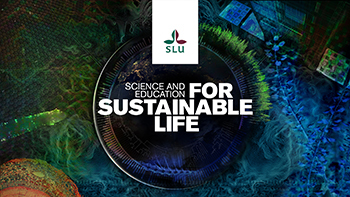 Once a Formas strong research environment project between SLU and Linköping University, the centre today continues to establish scientific excellence in this multidisciplinary research area. The network is coordinated by SLU. NEWS: The 4th Annual Animal Welfare Science Symposium May 16-17 2019: Programme now available! Register here. Winning scores for animal welfare grant applications We are happy to conclude that a number of new projects with connections to the Centre of Excellence in Animal Welfare Science have been granted funding from the Swedish Research Council Formas, and are due to start in 2019. GCUAW10 Animal Welfare and the Sustainable Development Goals The Global Challenges University Alliance (GCUA) Workshop: Animal Welfare and the Sustainable Development Goals” was held 18-20 June at the Swedish University of Agricultural Sciences in Uppsala, Sweden. Third Animal Welfare Science Symposium 2018 The Third Annual Animal Welfare Science Symposium was held in Uppsala May 2-3.